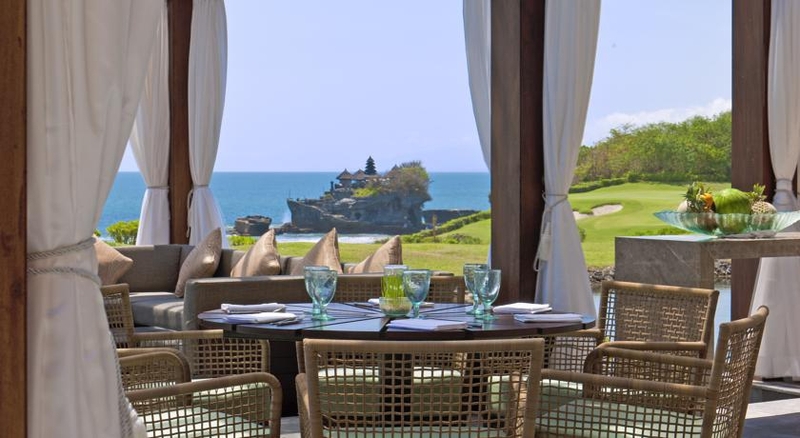 Drive in through the welcoming gates and enjoy our lush 103-hectare tropical hideaway, laid out on a cliff and set among rice fields, with panoramic views of the Indian Ocean and Tanah Lot Temple on its little island. This secluded luxury resort, near the tranquil village of Tabanan, West Bali, enjoys a magnificent setting amongst swaying palm trees along a rugged coastline. Experience an award-winning 18-hole golf course designed by Greg Norman at our 5 star Bali Resort. The refurbished resort, complemented by the uncomplicated service and premium offerings synonymous with the Pan Pacific brand, will enable guests to enjoy enriching and unrivalled experiences. Select from a wide range of rooms and outstanding leisure and banquet facilities at this restored 5 star retreat. Choose from our exciting luxury accommodation, outstanding leisure facilities and deluxe banquet rooms. Come expecting a spectacular 5 star experience at Pan Pacific Nirwana Bali Resort, because that is precisely what you will get, from luxury rooms to imaginative cuisine, to the smiles on the faces of our helpful staff.